Adda Ventures, Inc. has released their first app, a photo organization and management app for iOS devices called Fototriever. The app allows users to take, tag, and retrieve photos by using their voice. When Dr. Jeroff discussed this issue with his associate, Dr. Dennis Nimchuk, they decided to hire a computer science programmer from the University of British Columbia to help them develop an app to remedy the issue. The app worked better than they had hoped. 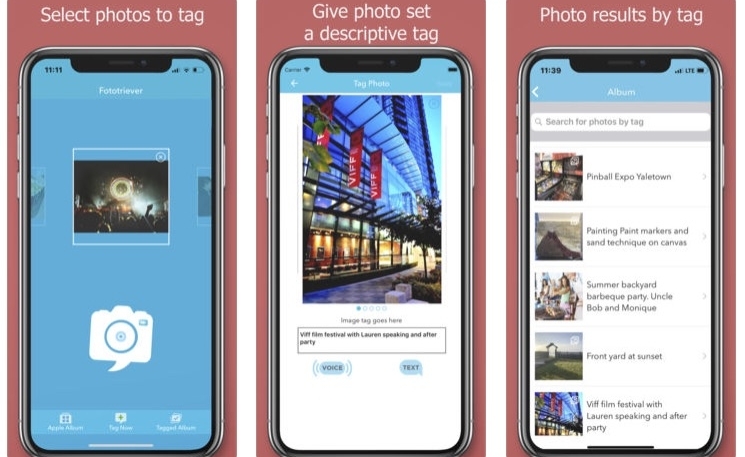 Fototriever users can tag photos using the traditional formula of “how,” “what,” “where,” and “when.” Creating tags can be accomplished either by using their device’s virtual keyboard or by using the iPhone’s mic to speak the tags.